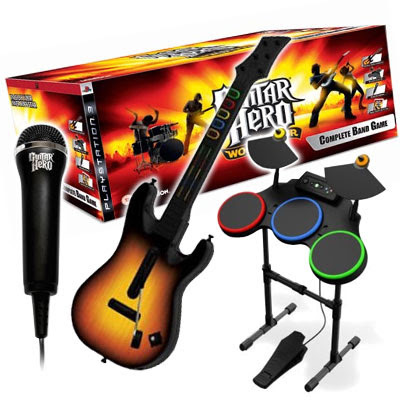 NextGen Player - Canada's Premier Entertainment Blog: Guitar Hero: World Tour Complete Bundle For $99.99. Wait...What? Guitar Hero: World Tour Complete Bundle For $99.99. Wait...What? The RedFlagDeals Forum is currently ablaze with discussion over the Best Buy Canada Summer of Savings promotion that is on from now until July 16. The way it works is that there will be a sequence of deals that will be offered one after another for a limited time (each deal runs for three or four days). There are plenty of games and consoles at marked down prices.